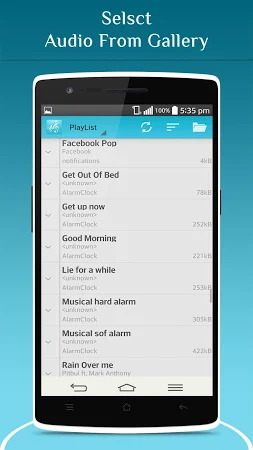 Mp3 Cutter & Ringtone Maker allows you to select any mp3 song/ audio song from your device and make Ringtone easily. It also allows you to set individual contact ringtone for your device contact list. 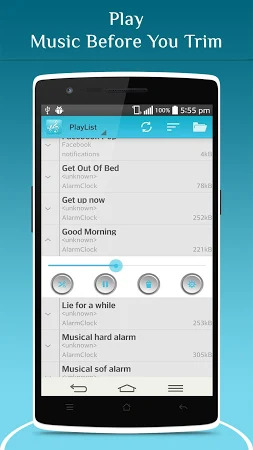 You can make and set: » Alarm ringtone. » Notification ringtone. » Contact ringtone. » short music. Using this awesome Mp3 Cutter and Ringtone Maker as well. 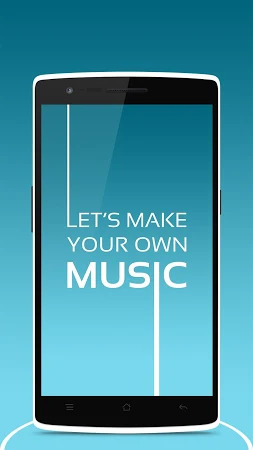 Download the installer of Mp3 Cutter & Ringtone Maker 1.3 at no cost and have a look at users' reviews on Droid Informer. The app works flawlessly on Android 3.0 and above. The download of this application doesn't contain viruses or any kind of malware. The tool is designed by Solution Cat Ltd and its category is Music & Audio. Over 50K users installed Mp3 Cutter & Ringtone Maker and the most recent update was launched on Oct 30, 2018. The app has been rated 4.3 on Google Play. There are adverts in this application. Micromax and Samsung users download the tool quite often. DSLR Camera Blur Backround Photo editor app is your ultimate Blur effect app. AutoCollage Photo Collage Maker is the latest style auto pic collage maker. Most Advanced Photo Background app in 2018 with lots of new features.